John J. Semsey was born on December 24, 1909 in Philadelphia, Pennsylvania. He was the son of a Czechoslovakian immigrant who came to America in 1900. His father’s name was Alex Semsey. His mother’s name was Anna Semsey-Vojtko. She moved to America in 1904. The family lived in Philadelphia City Ward 38, block 8, PA.
John had 3 brothers: Michael, Joseph, and Stephen 2 sisters Anna & Mary. He grew up holding a job as a laborer at Nabisco Company in Philadelphia. John married Sophia Gregory Chomentowska in 1940. 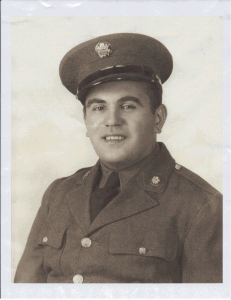 John J. Semsey enlisted into the US Army in May 27, 1942. His service number was #33315116. 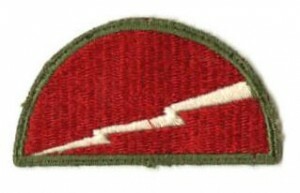 310th Infantry Regiment, 78th Infantry Division. 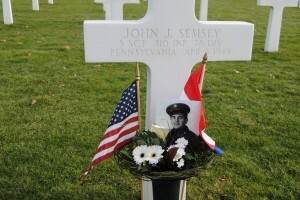 Staff Sergeant John J. Semsey was killed in action in Kichren, Germany. 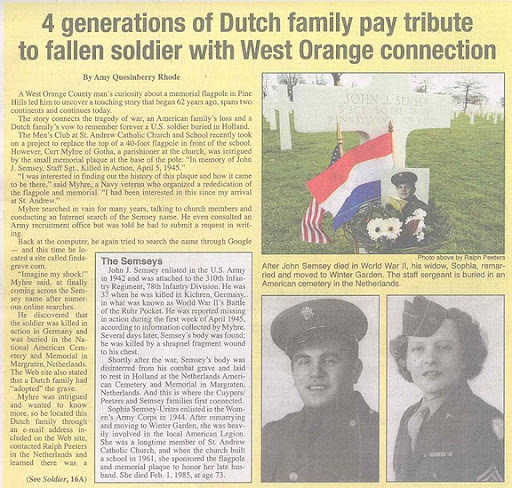 On the morning of April 6, 1945 he was reported Missing In Action. wound to his chest. 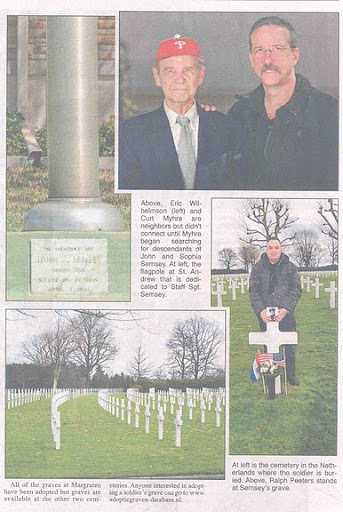 He is buried at the Netherlands American cemetery of Margraten. On Plot I, Row 14, grave 2. Sophia Gregory was born in Philadelphia on July 10, 1911. 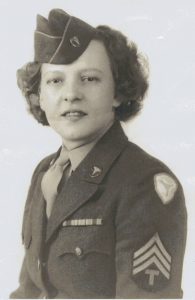 After her husband got Killed in Action in Germany. Sophia Semsey remarried Ronald Urites and settled down in Winter Garden, Florida. Sophia was a member of the St. Andrew Catholic Church in Orlando, Florida. 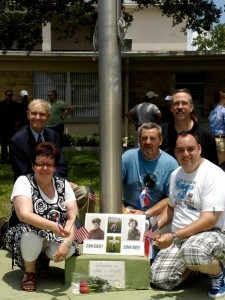 to honor her late husband Ssgt John J. Semsey. 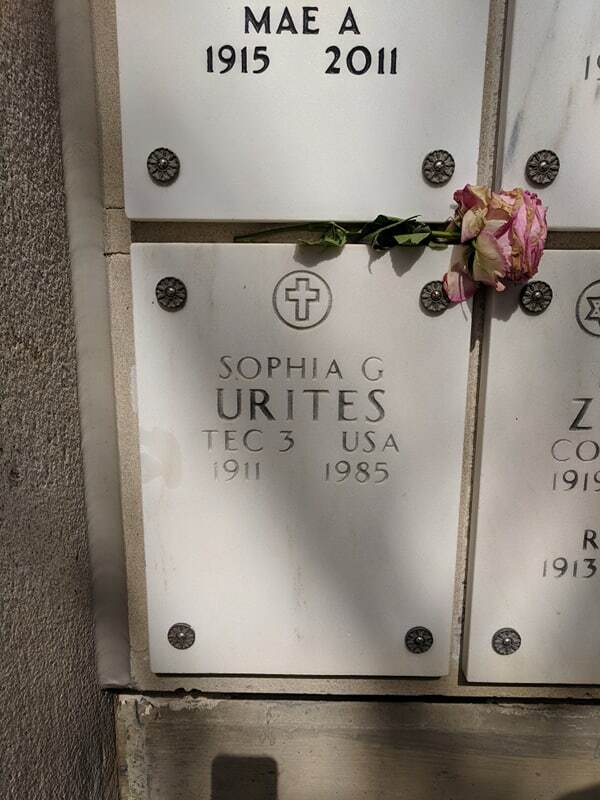 Sophia Semsey-Urites passed away on February 1, 1985.
my father and my mother and myself (Ralph).